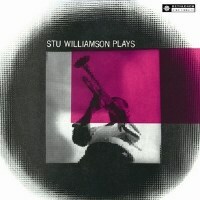 Stu Williamson Plays, recorded in Los Angeles, is the trumpeter's debut album for Bethlehem. At the time of recording he was just 21 years old and a star player in the Stan Kenton Orchestra. His technique is flawless, and he executes solid ideas with cool tone and smooth, flowing delivery. Fellow Kentonite Charlie Mariano plays alto and Stu's older brother Claude Williamson provides great support.